Before the man became the legend, before the legend became the myth, came the greatest adventure of all! 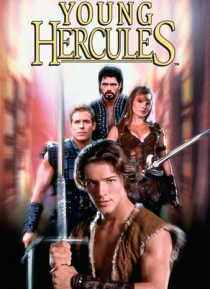 A headstrong 17 year old Hercules finds himself endowed with strength and power unrivaled by any of his mortal peers. But his cocky attitude and antics often lead to more trouble than he can handle. Joined by the noble and spirited Jason, conniving Iolaus and the beautiful Yvenna, Hercules and … his fellow cadets will face whatever physical tests the gods throw at them in this bold new adventure.